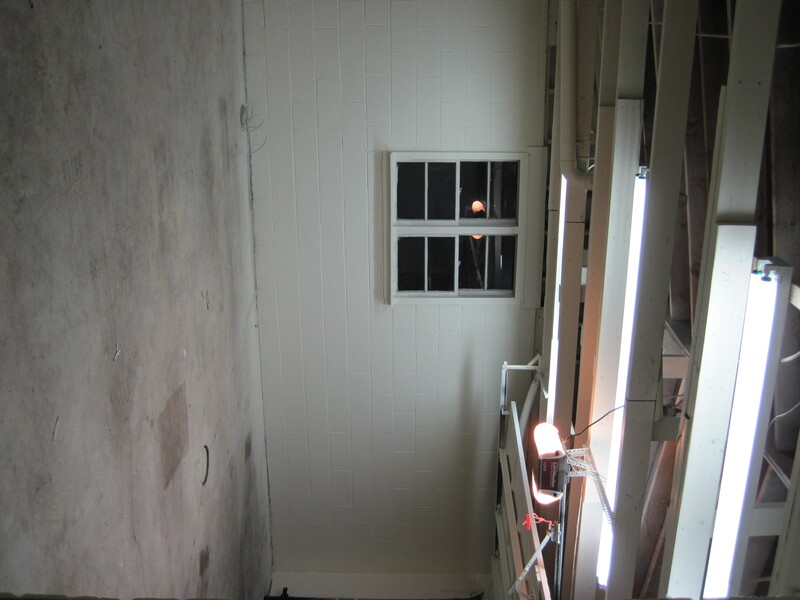 On Saturday, our garage went from being freshly painted to freshly painted and BRIGHT! To install them, we turned off the power to the garage. And then tested the wires with a voltmeter just to be sure the power was off. We’ve been very happy that we double checked a number of times, like the time we discovered that all of the outlets in our bedroom are on different circuits. If you’re trying this at your own house and have any question, might as well just turn off everything. 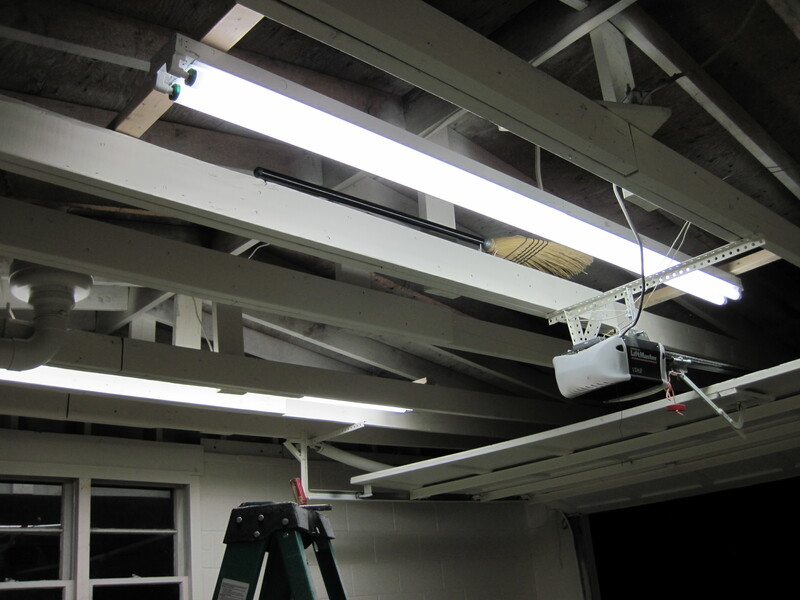 Anyway, with the power off, we were able to restring the the wiring for the old garage lights up along the rafters. To mount the actual lights, we cut some small pieces of wood (2x3s) just a little longer than the distance between the rafters. 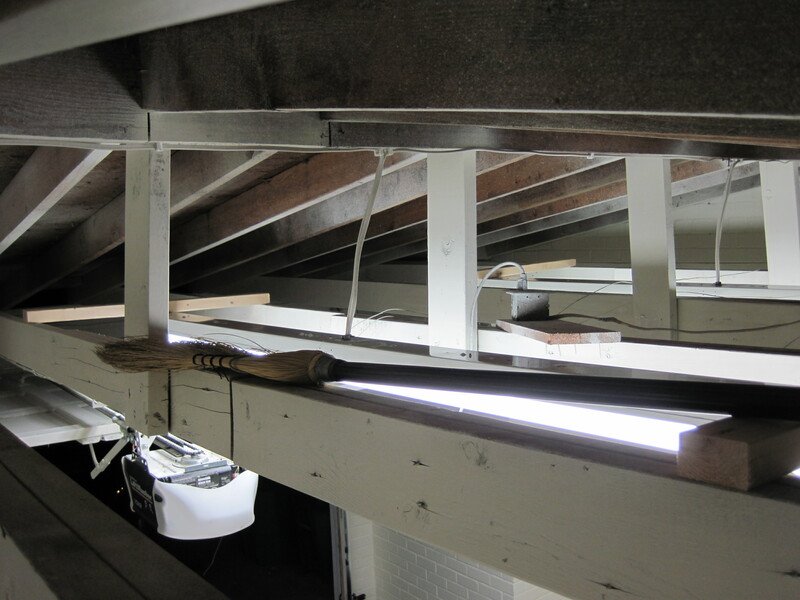 We attached the new light fixtures into the 2x3s and screwed them into the top of the rafters. 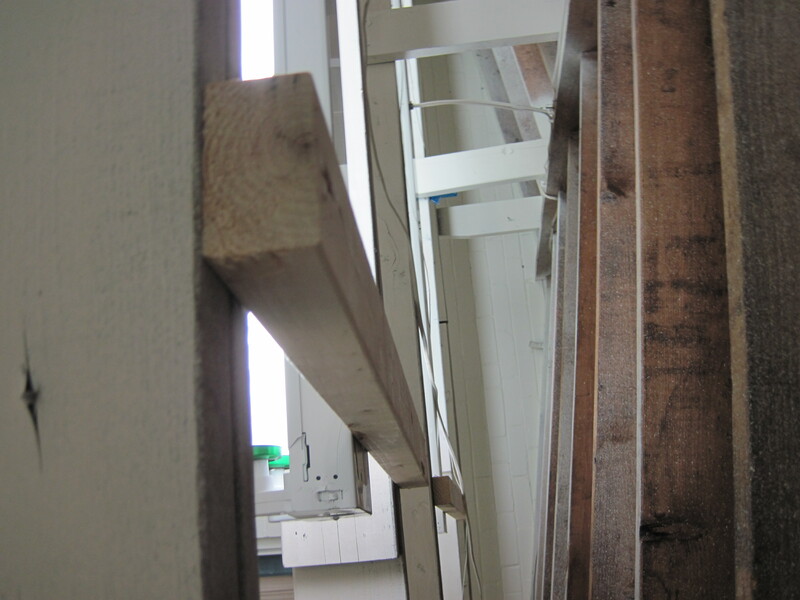 This structure holds the light up and keeps them recessed slightly into the rafters. 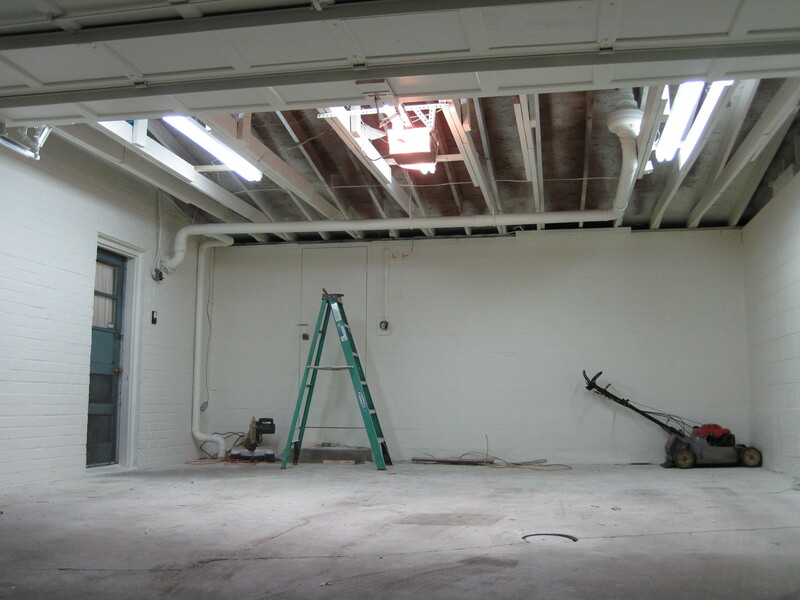 As you may recall, the old lights hung down into what we affectionately call our “cars’ space.” Now, the Cars’ Space is literally about 2 feet taller with those recessed lights. The new lights illuminate everythign so well that spiders have nowhere to hide! Every nook and cranny is brightly lit. All day we’ve been looking for excuses to grab things from the car – and turn the new garage lights on. It’s amazing what a difference some brighter lights add to the feeling of a room.